What’s healthy? Why, sugar, of course. Talk about what makes Christians different from the world, and the risk of losing our distinctiveness, and indeed our faith, through assimilation. Far too many of us prefer to live in a bubble, thinking that everything will always be this way. It won’t be. Which distinctives are important to hold on to? Where is the threat of assimilation coming from? How do we meet it? Take your parish school to the classical model. It falls to the Christian churches to preserve the heritage of the West. More importantly, classical Christian education provides a powerful counternarrative to what the world says the human person is. Education will be a prime locus of resistance to post-Christianity. These are two of Rod Dreher’s bullet points for what priests and pastors can do for the Benedict Option. Theyseespecially struck me as on point. Prepare their congregations for hard times to come. Build a culture of prayer and contemplation. Encourage community building, in part through doing traditional liturgies, communal prayers, and feasts. Bring back fasting. Present the Christian life as a pilgrimage and an adventure. Challenge your congregation to get its hands dirty. Robert Kennedy Jr. and Robert De Niro convened a news conference on Wednesday at the National Press Club to announce a $100,000 cash reward for anyone who identifies a peer-reviewed scientific study demonstrating that the mercury in vaccines is safe. Though the challenge was perhaps something of a stunt, the significance of the appearance was underscored by Kennedy’s confirming that President Trump may ask him to lead a commission on autism. The consequences of such a commission could extend beyond the narrow vaccine/autism debate. More significantly, the commission could expose the incentives driving vaccination policy, which, in the current political climate, could move mainstream opinion against vaccines and also bolster doubts about the integrity of the health-care system. Both the rate of vaccination and the rate of autism have spiked over the past three decades. 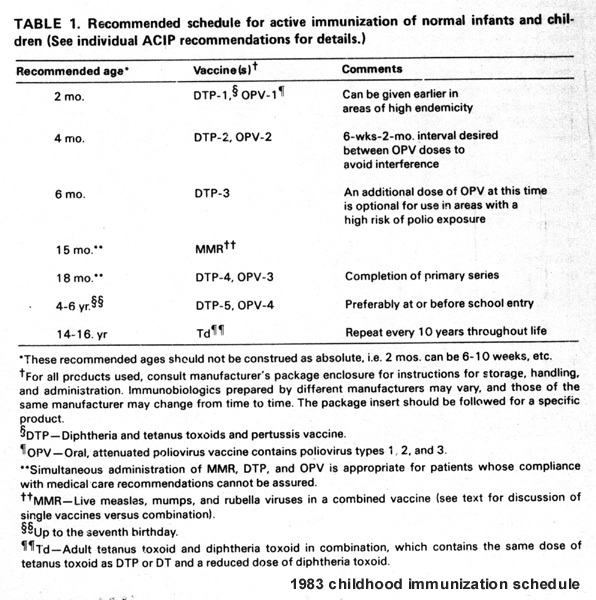 From 23 doses of seven vaccines in 1983, the recommended immunization schedule has tripled to 69 doses of 16 vaccines, and Americans are now “required by law to use more vaccines than any other nation in the world.” What fuels vaccine hesitancy is the fact that, for several decades through the 1970s, childhood autism remained at a steady rate of about four in ten thousand children. After three decades of steady increases since the 1980s, however, the childhood autism rate, according to the CDC, has climbed to 1 in 68 or 1.5 percent. (Pratik Chougule, Why the Kennedy-De Niro Vaccine Challenge Matters) Pretty alarming, that last paragraph, though correlation doesn’t prove causation. I looked at the Post’s grading system, and by their criteria, clueless errors about things like changed diagnostic criteria can get you 3 Pinnochios, so I’ll not jump on the “So unfair!” train. Still, from four in ten thousand children to one in 68 is pretty fishy. “Read it yourself” or “you decide” can be a cop out, but one has little choice but resort to them when the regulators have been taken captive by the regulated and the official story smells so fishy as a result. [P]lenty of people today merely feign being hurt by someone’s insult as a means to gain an advantage over them. That’s the irony of the term “snowflake”—it’s being used to denote a weak person, when really the behavior associated with “snowflakes” is typically an act of aggression. In stark contrast to all previous history, claiming victim status has become the quickest and surest route to becoming a victimizer. Reflecting on the above causes me to wonder what’s more dangerous to a free society: insults… or the unnaturally strong aversion to them that we seem to have today? In late 2015, Daniel Lubetzky learned of a federal rule that puzzled him: Salmon, avocados, olives, eggs and tree nuts aren’t “healthy,” according to the Food and Drug Administration. 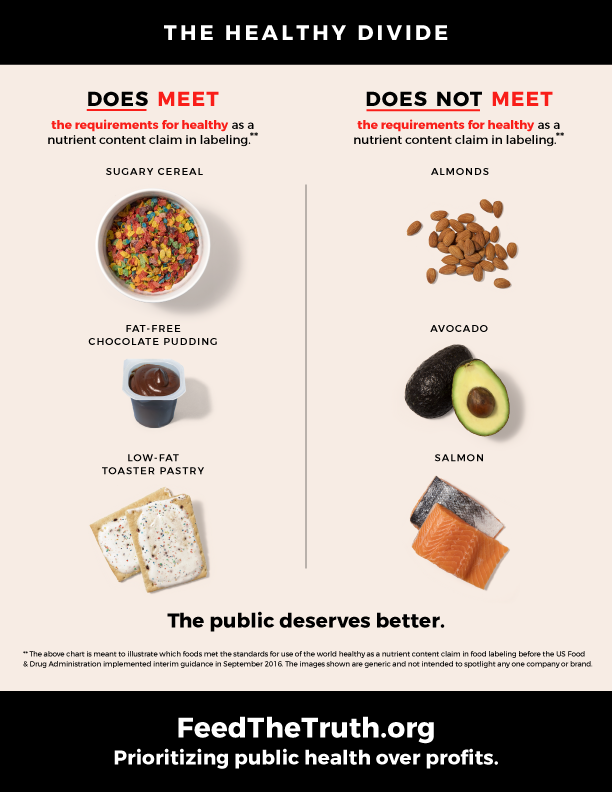 (Washington Post lede) Here’s a nice graphic to illustrate what the FDA considers healthy. “Is TAC Too Easy on Trump? A reader voices her concerns; the editor replies.” A good question and a reasonably good answer, citing Rod Dreher and Daniel Larison as anything but too easy on Trump. Of course we ran those pieces alongside the commentary of Patrick J. Buchanan, one of our founders, who considers Trump a necessary corrective to policies of our elites that he considers destructive of the American future. That’s the great debate in America these days, and we aren’t inclined to short-circuit it. This entry was posted in Benedict Option, Christianity generally, conservatism, Damn rackets, Dignitary harm, Foreign Affairs, Health care, Heckler's Veto, Political Matters, populism, Religious freedom, Science. Bookmark the permalink.